Fujiyama is a small Japanese restaurant located in Coogee, close to the Coogee Pavillion, with less than 25 seats. As Japanese cuisine is one of my weaknesses, I definitely had to give it a go. There is a large selection of entrees available and I did have a hard time deciding on which ones to order. So instead of ordering one of everything, I only ordered my top three items. The first one is Agedashi Tofu. 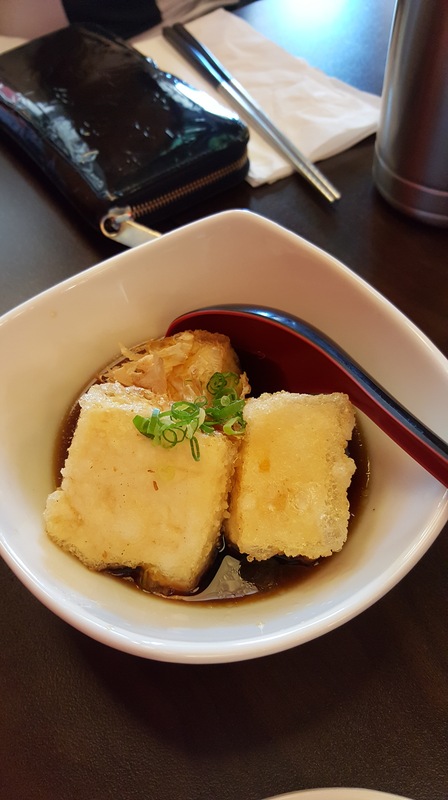 This is one of my favourite entrees to order at any Japanese restaurants as I love the combination of the hot silky tofu and the slightly chewy potato starch coating. All good Agedashi tofu should be half submerged in hot dashi broth. The dashi broth should have a good dose of umami flavour, slightly salty and with a hint of sweetness. The second entree I ordered was Takaki. This was made of beef but not your ordinary beef, it was Wagyu beef. The Wagyu beef was quickly seared leaving the centre still quite raw. This is one of the distinguish features of tataki. 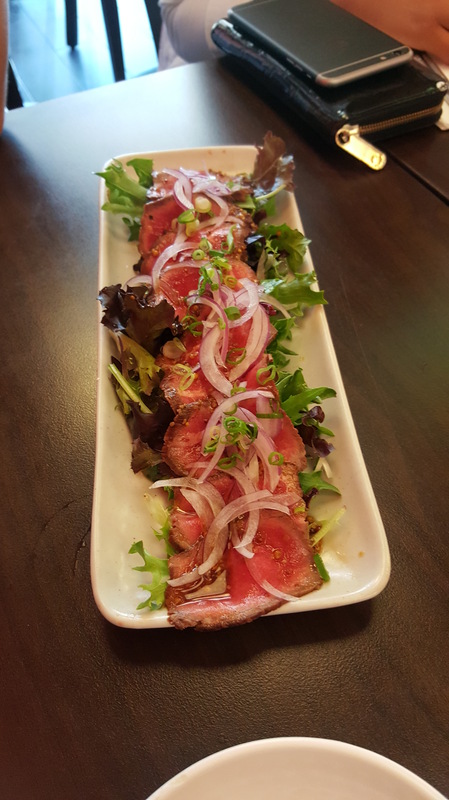 The beef was thinly sliced and served on a bed of mesclun, topped with thinly sliced onions and a ponzu dressing. The ponzu is a Japanese light soy sauce with flavours of citrus. It is tart and savoury and is perfect for tataki. The final entree I chose was the Karaage Chicken. 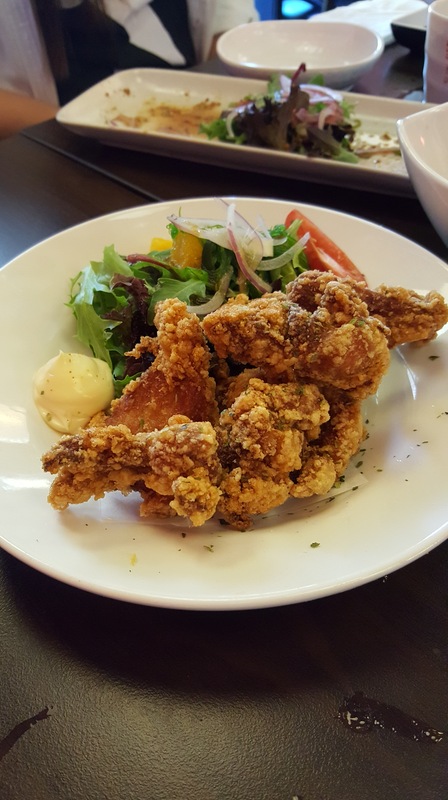 It is another must order dishes for me as I love chicken and deep fried foods. This one is served with a light salad and kewpie mayonnaise. But ever since trying the Karaage from Soi Noodle Bar, this doesn’t hit the spot. It was nice to see some salad on the same plate as the chicken Karaage, as some eateries only serve the chicken by itself. The chicken was really crispy but at the same time really dry. I was pretty disappointed. 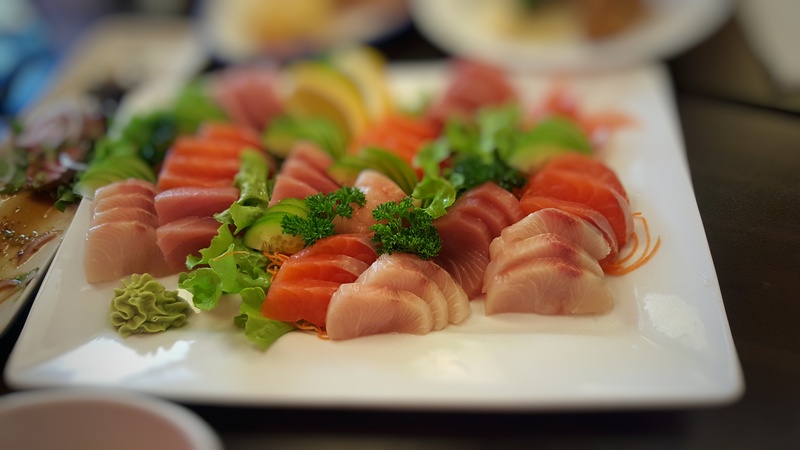 No trip to a Japanese restaurant would be complete without a serve of sashimi. Since we had five people eating, my best choice was to order the Family Sashimi Platter. It is beautifully presented on the with lettuce, lemons and parsley. They only do a combination of three different fishes. Salmon, tuna and kingfish. The fish is really fresh, you can tell by the shine and lustre of th surface of the fishes and there is no fishy smell present. Another one of my love would be Japanese curry. As soon as I saw the range of curries on the menu I was literally frothing. I went with the Ebi Curry (Prawn). 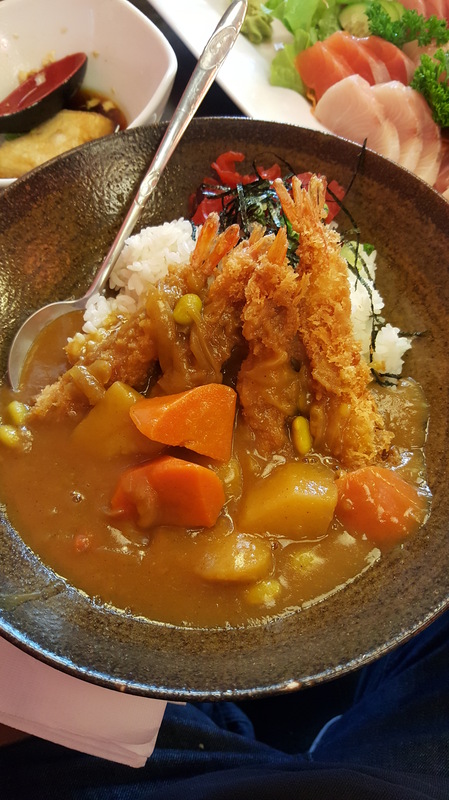 There was four panko prawns served on a bed of rice with a good amount of Japanese curry sauce. No Japanese curry will be complete without a side of Beni Shoga (pickled ginger). The curry wasn’t too spicy and the potatoes were well cooked. They literally melted in your mouth. When it comes to drinks, I usually choose ones that aren’t too common. 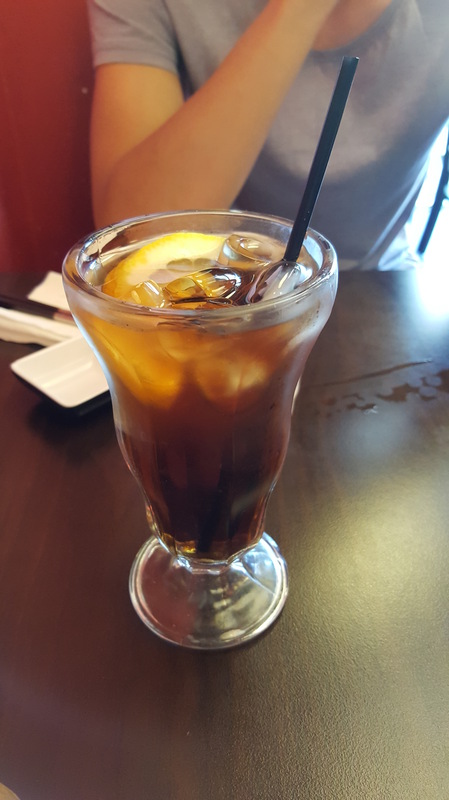 The Signature Plum Ice Tea was perfect for a hot summers day. The flavour of Japanese ume (plum) and ice instantly gave me relief from the heat. In my opinion the iced tea tasted somewhat similar to Taiwanese sour plum tea. For those who don’t have time to sit down for a meal, they are able to do takeaway versions of everything on the menu. Oh, they also do hand rolls if you were craving them after a surf/swim at the beach.